Sandwich Review: Ralph’s Sausalito Turkey Sandwich. This is another of my favorite sandwiches from Ralphs, and for $5.99 it’s hard to beat the value. 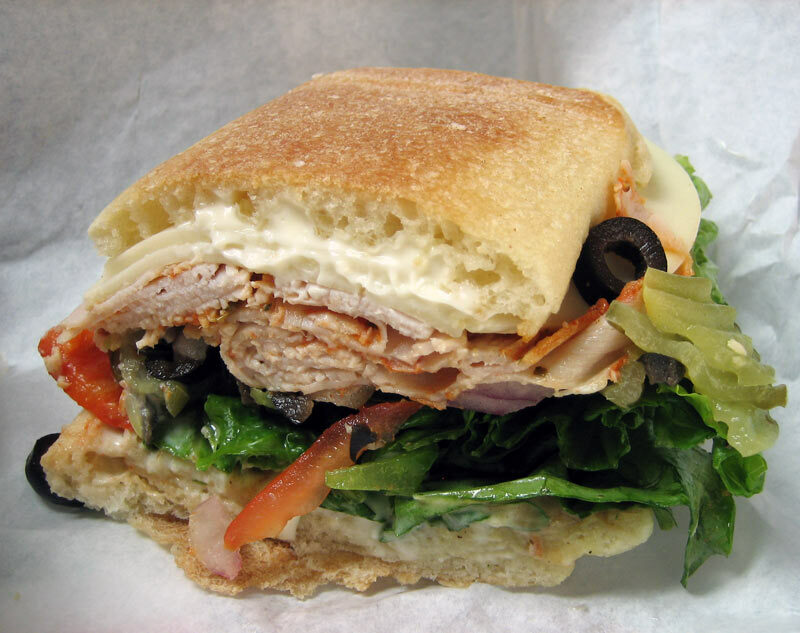 The Sausalito turkey sandwich on ciabatta is excellent, obviously very filling, and freshly made, and no, Ralph’s is not paying us to write this. However, Mr. Ralph, if you read this, we would accept gift cards for more sandwiches 😉 This is not only a very filling sandwich, it also taste excellent, and for the price this is a 4 star lunch meal.